Home » Bandai » CDX Gundam Breaker 3 Livestream May 7th! CDX Gundam Breaker 3 Livestream May 7th! 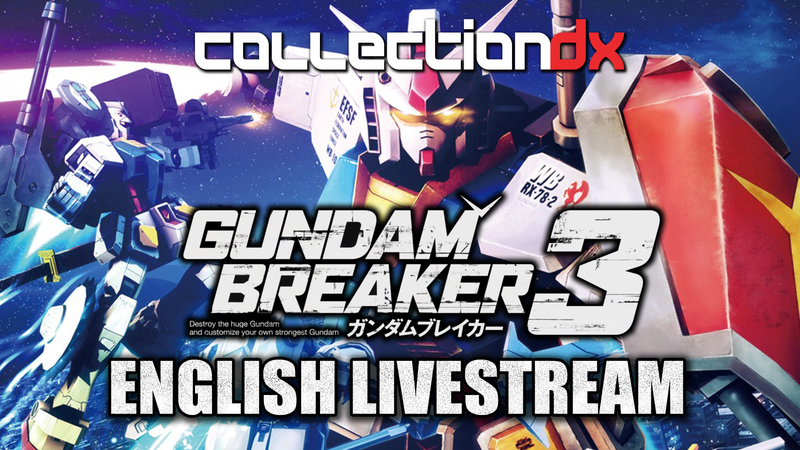 Jmann, Dkun, and VIR will be hosting a livestream of the English version of Gundam Breaker 3 at 8pm EST on May 7th on the CDX Games YouTube Channel! Join the guys as they build the Gunpla of their dreams and promptly fail at playing a video game! For those unaware, CollectionDX has a gaming channel! Be sure to subscribe so you don't miss the action!